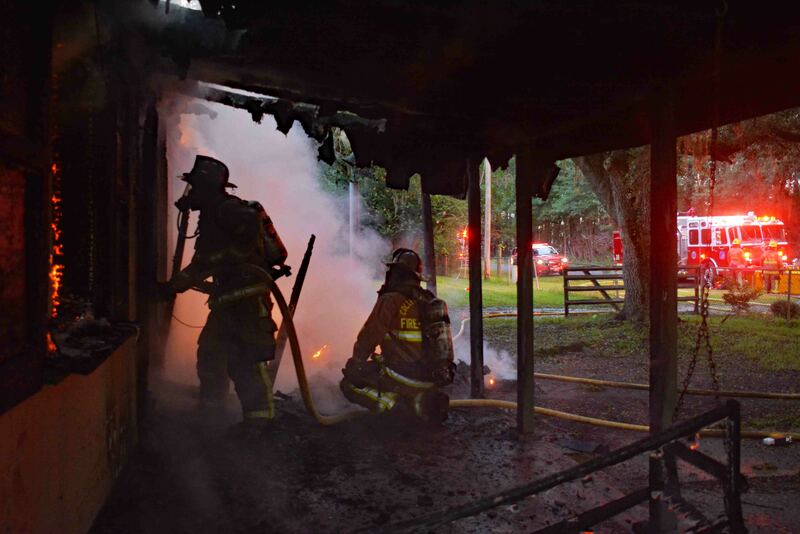 Incident # 18-06114 – An early morning fire destroyed a home at 5563 Featherbed Road Monday morning 03-September at 06:46. A passerby notified 9-1-1 the house was on fire and the roof was burned away. Engine 19 arrived minutes later to find the single story block structure fully involved. 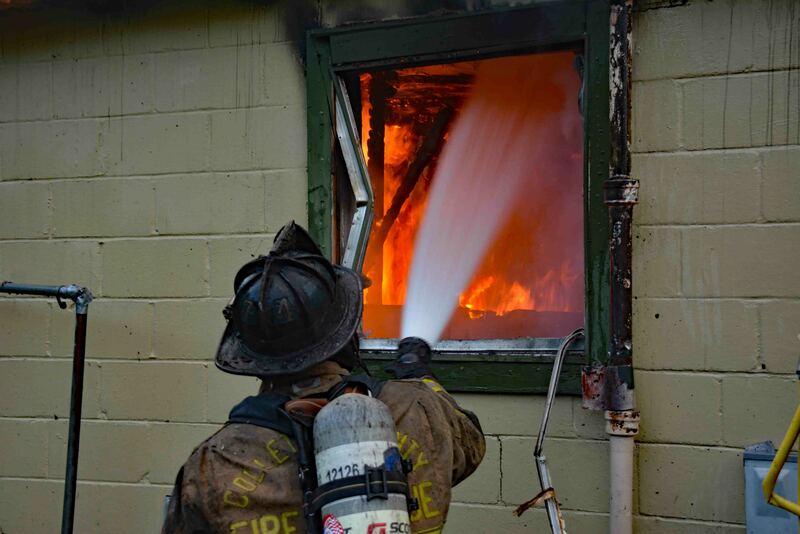 Approximately 1/3 of the roof was burned away and fire was coming from all windows and doors. No one was at home when the fire occurred and the occupants were in the process of moving out of the residence. Firefighter-Paramedics used a deck gun to knock down the flames and deployed two handlines to extinguish the fire. Crews worked for about 25 minutes to bring the fire under control and spent approximately another hour performing overhaul. 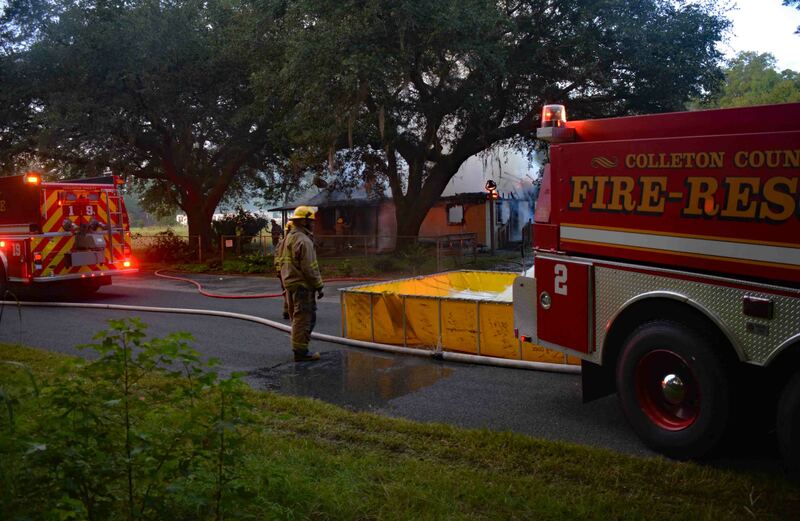 The fire was of suspicious origin and Colleton County Fire Investigators contacted SLED’s Arson Unit. Three State Police Investigators and an arson dog responded to the scene. Investigators spent six hours looking through the debris. 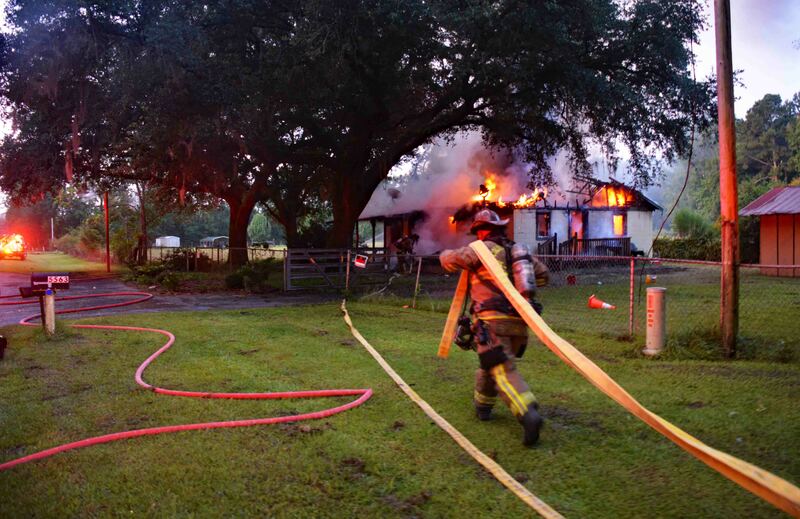 Anyone with information concerning the fire is urged to contact the Sheriff’s Office at (843) 549-2211, the SLED Arson Hotline at (800) 922-7766 or Fire-Rescue Headquarters at (843) 539-1960. Engine 2, Engine 19, Tender 2, Tender 9, Tender 19, Tender 27, Medic 9, Medic 19, Battalion 1, Car 112, Car 118 and Car 119 responded. Captain Matt Paler served as Incident Commander.